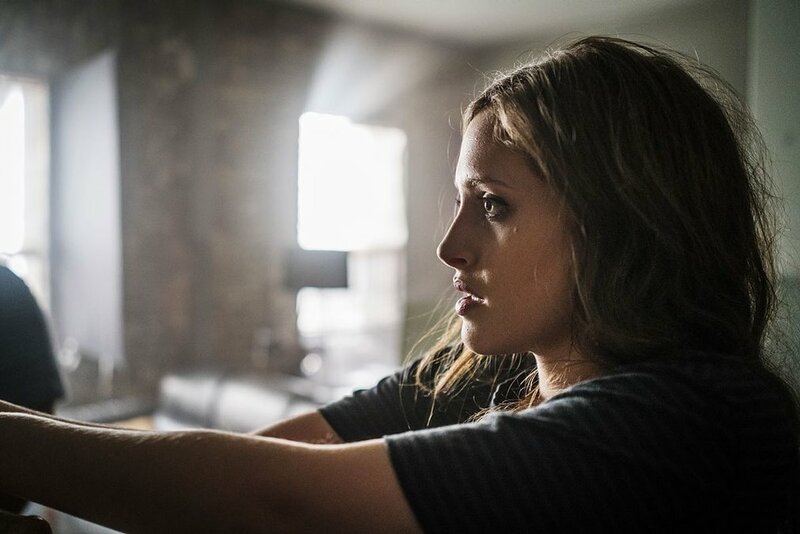 Carly Chaikin is phenomenal throughout, and she’s the main reason this episode works as well as it does. It’s not perfect, but it’s still a very tense setup that we get with Darlene and Susan Jacobs. It’s not just intriguing because the latter gets tased and incinerated; it’s intriguing because we’re seeing a push and pull between the personal and societal, the emotional and the ideological. fosciety’s goals are supposed to be broad and sweeping on a societal level, and the early scenes in the episode center on the hot-button issue of privacy (with regards to Operation Berenstain). At the same time, though, the personal history between Darlene and Jacobs is at the forefront, and that conflict in turn drives the person who’s at the helm of this movement. By giving us a comparison of Darlene’s leadership and Elliot’s leadership, we gain a deeper understanding of both characters’ temperaments and motivations. Chaikin’s best scene comes near the end; as she’s sitting on the train with Cisco, she talks about how she always thought something would stop her. “I don’t feel bad,” she says, and it’s clear that she is just as troubled as Elliot is. These characters are all struggling to find meaning for what they do, to make sense of why they do what they do. The mixed results they receive are exactly why they’re so compelling. -The Angela storyline in this episode is a natural extension of her emotional struggles thus far in season two. She’s definitely in a fragile position and has been for a while, and her cover of “Everybody Wants to Rule the World” is a sad statement on the dissonance between where she’s trying to convince herself she’s at and where she’s really at. -So, Cisco hasn’t been entirely truthful. The Dark Army/whiterose are getting in on this now.